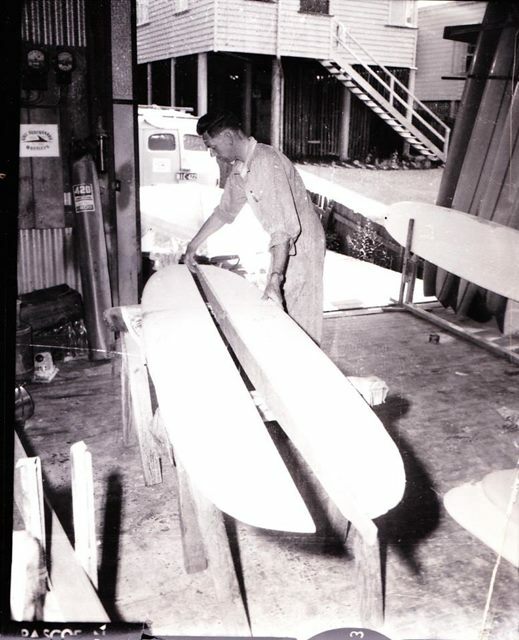 Woosley Surfboards were designed and created by Ray Woosley back in the 1950s. 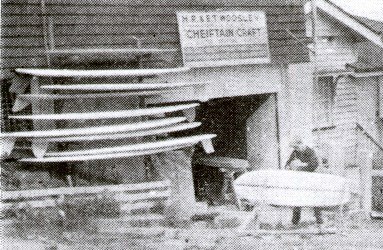 Originally under the brand of "Chieftain Water Craft" Canadian canoes, then Balsa surfboards by Ray Woosley. 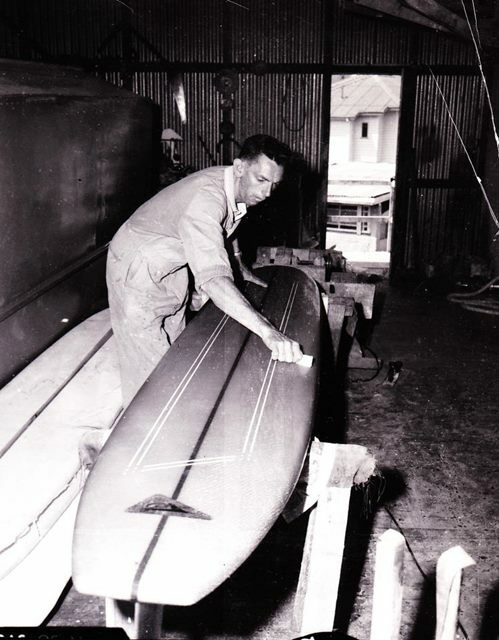 He experimented with coolite and epoxy and also urethane initially coated with a Selleys barrier coat, then Polyester and fibreglass under the label "GULL SURFBOARDS" by Ray Woosley. 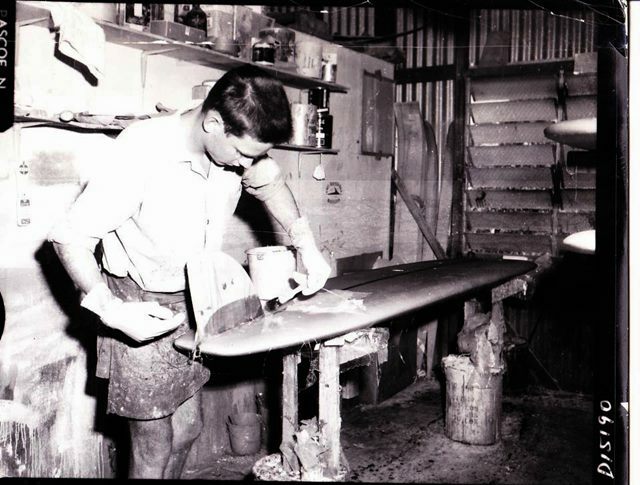 Ray was the first in Queensland to make Surfboards, predating Howensee, Hayden, Kirten and Larkin. Ray taught Brian Austin to shape and glass, then Rod Teys joined up in the early to mid 1960s followed by Les Purcell in 69/70. Ken Brown was the sander at Woosley's for quite a while also. 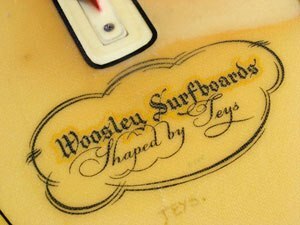 The Secret of a Woosley Board is a combination of the Shaper's surfing experience to produce the correct rail, rocker and plan shape together with a great Glasser and Sander. The style and placement of the fin was the other secret that made the boards work so well. And they worked “BRILLIANTLY". 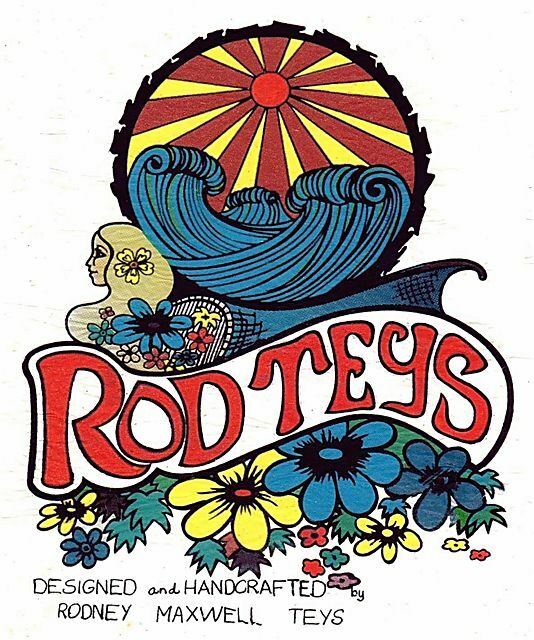 Our Dad introduced us to Ray and Elaine Woosley back in the early 1960s when we wanted to get our first "REAL" surfboard. 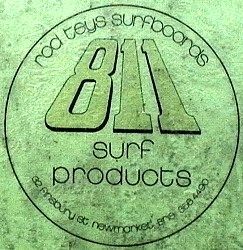 Bill and I had been riding Coolite Boards and Surf O Planes since the late 1950s and early 60s. Dad was a Great "Body Surfer" and knew a lot about waves and how they worked. 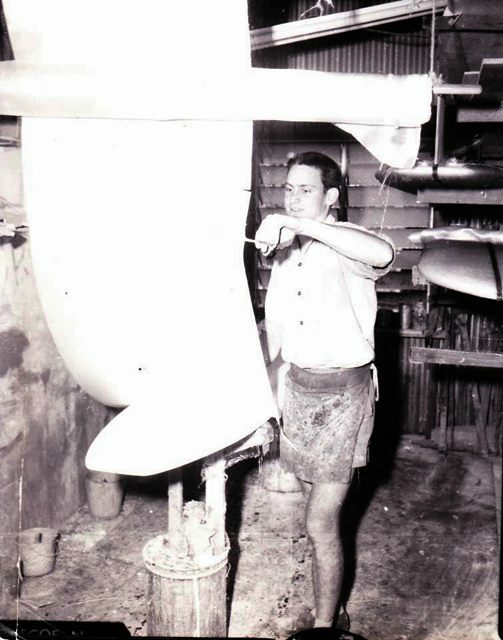 He was the chief Technical rep. for Selleys Chemicals, and got to know Ray when he was gluing up Balsa and Styrene blanks, then Polyurethane foam. Dad knew a lot about "GLUES" and what worked and what didn't !! They even flew him down to Sydney when they were constructing the Opera House. They ended up using Selleys Silicon to join the glass panels together, and Selleys "UNI FIX" to stick the Tiles on the Sails! Our first board was a 9'6" Joe Larkin that Bill and I shared. Dad wanted to see if we were keen enough. He should have known better! It was second hand, deep blue tint with a black and yellow pin lines, one on either side of the stringer on the deck. It had a yellow D Fin with Moon Equipped stickers on either side. Cost was £7:10s. ($15.00) Bill eventually got a Woosley "CALIFORNIAN HOT DOGGER" at a cost of $25.00. Woosley Surfboards eventually became Woosley Boat Repairs in early 1971 / 72, still at 29-31 Bishop St. Kelvin Grove 4059, Brisbane - Telephone 562151. 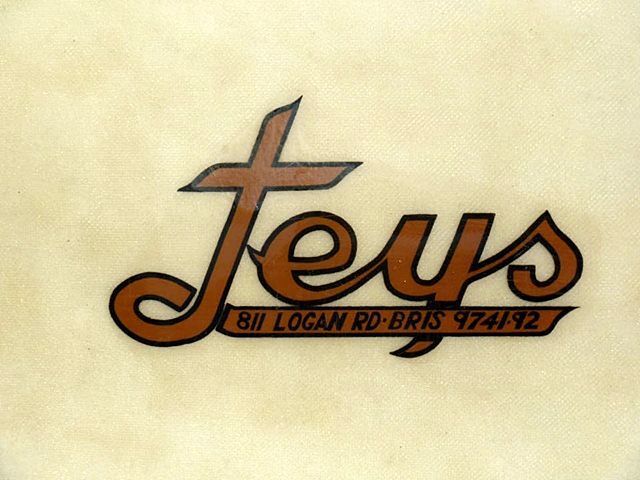 Rod Teys revived the Label with Ray's blessing in 1982 at Conaught St. Sandgate. 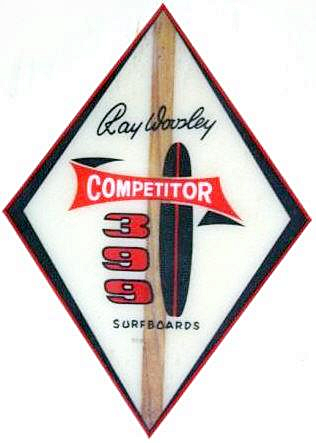 I recreated the "Competitor 399 by Ray Woosley" labels for the new boards and printed T Shirts for Ray and his Family. 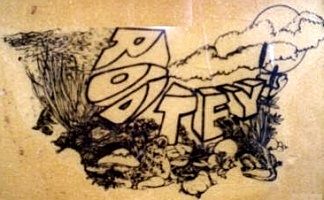 Rod continued to produce Woosley boards as well as Rod Teys Classic Malibu boards and Skis and short boards eventually moving to Eudlo on the Sunshine Coast in the 1990s. Woosley boards were then produced by Matt Keane of Eastcoast Surfboards with the blessing of Elaine Woosley as Ray had passed away from lung cancer. Matt was taught to shape and glass by Rod Teys, The Master!! 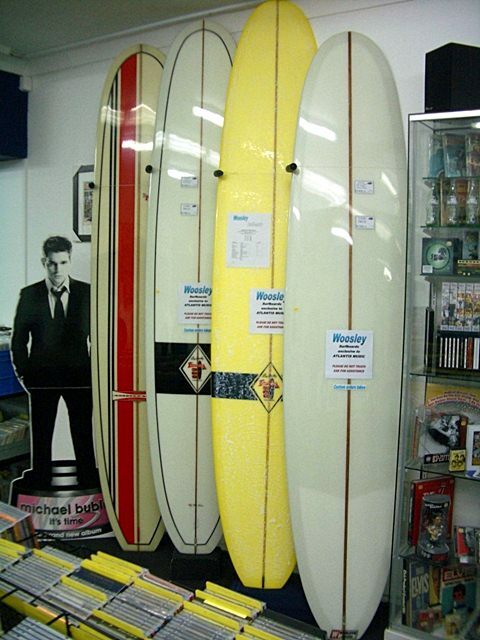 The last Woosley board was produced about 2008 at Meltone St. Nortgate Brisbane. In the finals of the Wrecks and relics in 2011, Bill rode a Woosley "Competitor 399" Light Weight Custom. 9' 2 1/2" long with a stage 2 deep set Greenough style fin with a slight flex 1966 model. I rode a Woosley Custom Special 1967 Model. 9' 4 1/2" long with a stage 3 Greenough style flex fin. There is NO perfect all round board. Each one has it's own Spirit and will have it's good points and it's limitations depending on the surf conditions and the skill and style of the surfer. A GREAT BOARD is born out of the skill of the Shaper who is in tune with his client and combined with Magic of the Glasser and an Impeccable Sander!!! The late, great master Ray Woosley at work in the original "Shed" behind the house at 29 Bishop Street, Kelvin Grove around 1963/64. 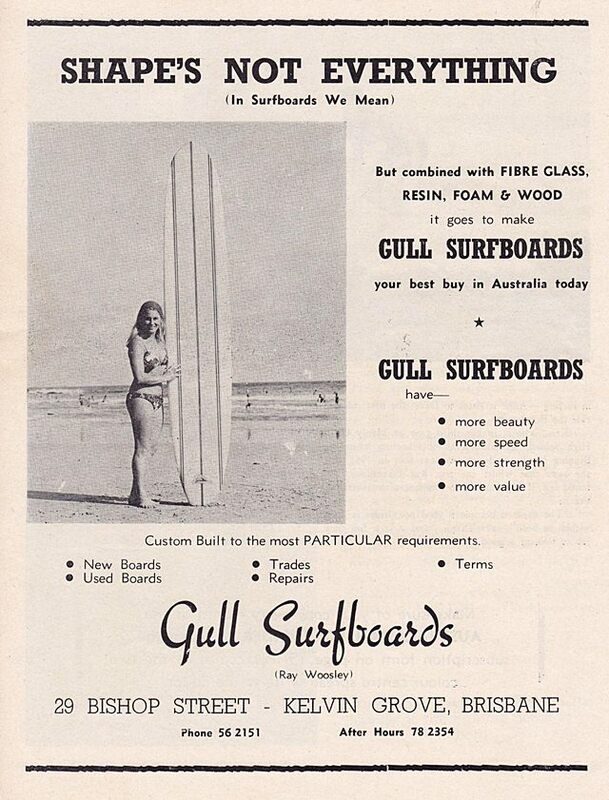 The era of "Gull" surfboards. 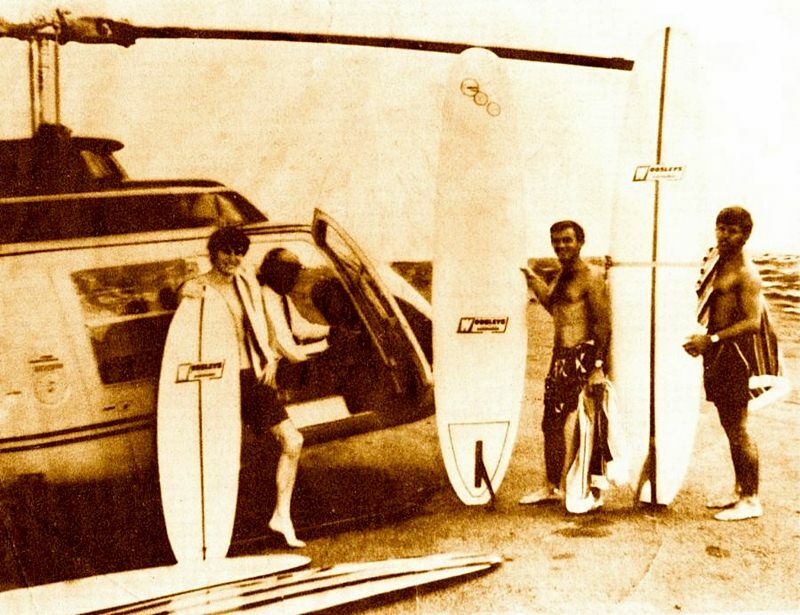 Ray's mate at Bell helicopters provided the transport for a film and TV advertisement shoot on Stradbroke Island in 1967. The camera gear malfunctioned and nothing is left other than this photo of the boys just before takeoff for the trip. (L to R... David Heaton -(Glasser) he rode knee boards and Woosleys made quite a few over the years. ; Graham Hudson, General Manager of Bell Helicopters, and good friend of Ray Woosley; Rod Teys (Chief Shaper) holding the First "Stringerless" Professional Custom Special made at Woosleys. Rod now lives on Bribie Island. ; Dennis Watts was the "Finish Coat Specialist" He now lives at Mt. Tamborine. This shot was taken at Eagle Farm Aerodrome, Brisbane in 1967. They were about to load up and fly Boards and Surfers to Stradbroke Island to make a Mini Movie for Woosleys to advertise on TV and the Cinema, but the camera gear malfunctioned and nothing was filmed, save this Rare shot!! They all went surfing though, as the trip was on the house, as Graham was doing a favour for Ray Woosley. Others of note at Woosleys at that time were Chris Mashford who was the Chief Glasser. He later went on to design and build High Tec million dollar Multi Hull boats. He now works over in the Middle East consulting and trouble shooting for Multi Million dollar Companies. He still keeps in contact with Rod Teys on a regular basis. The "Ding Fixer" at Woosleys was Neil "Mouse" Kirwin. He would rewax your newly fixed board in all manner of Bright Coloured wax jobs. He eventually moved over to Adlers and became the manager when Chris Goodenswagger left. 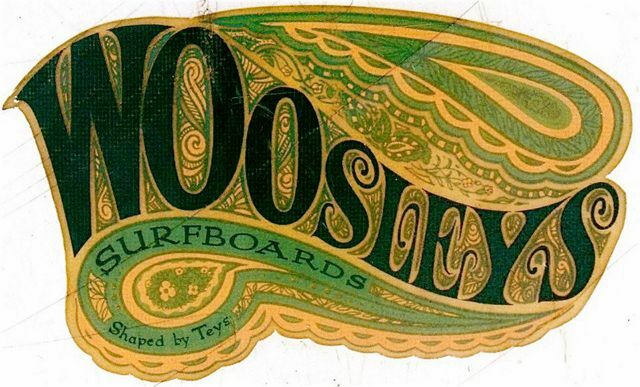 Early advertising for Woosley Gull surfboards. Australian Board Rider Magazine Feb 1964 Vol 1 number I - only three issues were produced. © Copyright Woosley Surfboards. Site Design & Development by john garozzo.